Dr.Pulley sliding rolls in the 23x18mm format, weight 16 grams, 6 pieces / package. 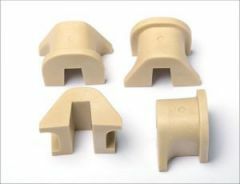 Added these as well as a BMC racing air filter to my honda sh300i scooter and performance has approved across the range. Acceleration off the lights has improved substantially. The bike feels about 15% quicker overall since this installing these rollers. 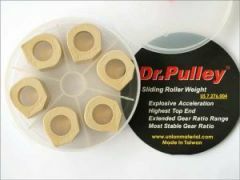 Dr.Pulley sliding roll size 19x17mm, weight 12 grams 6 pieces / package. 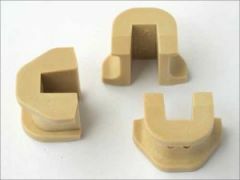 Dr.Pulley sliding roll size 25x20mm, weight 15 grams 6 pieces / package.